Tim Carmody has written an excellent article for Wired "The Nimble Empire: In Defense of Cable". He shows a keen grasp of the how the issues of the cable television and entertainment programming business models intersect with piracy and the Internet using HBO as a case in point. I had been searching for a way to incorporate Matthew Inman's brilliant cartoon I tried to watch Game of Thrones and this is what happened into a posting for this site, but now there is no need -- Carmody worked off of it and went further. I recommended both highly. This recent Multichannel News article about Verizon raising the price of its DVRs and set-top boxes made me think: why do these boxes still cost so much and is that a good thing for cable? In the early days of digital cable, the late 1990s, a set-top box cost a cable operator about $300. Since that time, the price of the components of a box have likely gone down quite a bit and the boxes have gained some capabilities (decoding HD, better graphics, new connectors like HDMI and, the big change, DVR capabilities). The price of cable modems has dropped from $400 in its early days to $54 (when I last checked this one at Amazon). I would imagine the digital cable box hasn't fallen, that much, but it sure has fallen. 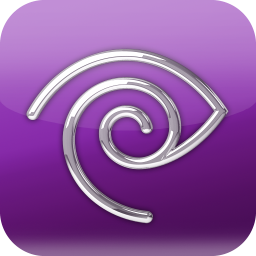 On my system, Time Warner Cable New York City, any set-top box (whether SD or HD or DVR) rents for $10.00 per month or $120 per year (pricing schedule). To have digital cable on a second set ("digital program duplication") I pay an additional $4 per month, bringing the total to $168 annually. I was thinking about this issue recently from the perspective of the opportunity it presents for over-the-top. From the standpoint of the primary set, OTT alternatives have a lot of shortcomings, notably the lack of the name brand cable channels and, without an antenna or a service like Aereo, the major broadcasters. However, consumer expectations of service on the second set might not be as high. Option 1 is to pay $168 per year and enjoy the same service on the second set as the first. Option 2 is to pay $50 for a Roku box and use the second set to watch HBO Go (if your operator permits it), Netflix, Amazon Instant Video, Roku Newscaster and the like. While that's not everything, it might be plenty to kill time while on the treadmill or for a little entertainment before sleeping, for example. (This assumes that the household already has a broadband Internet connection and that that service is effectively unlimited). This amount drops to $0, if your second set is an Internet-connected set from Samsung, although Comcast does not want HBO Go on that either. The much-considered threat of OTT competition has not to date played out as an either/or situation with cable. DirecTV, Dish Network, Verizon FiOS and AT&T U-Verse are head-on competitors offering the same services in essentially similar bundles. No OTT player yet has pursued that strategy, likely because the content to do so is not available to them. But the lack of a head-on threat does not mean that OTT is not a real threat to traditional multichannel offerings. The multichannel distribution players do recognize this -- TV Everywhere became a whole lot more important when Netflix demonstrated that part of the value of its service was that it was broadly available -- it wasn't that iPad viewing was that big a threat on its own. That said, as the set-top box expense example demonstrates, there are lots of places for OTT video to worm its way into consumers' hearts, or, as Clayton M. Christensen puts it in The Innovator's Dilemma, find a protected foothold from which they can launch their attack on the main market. The big news in the new version of TWC TV, the iPad/iPhone/iPod touch app from Time Warner Cable is the addition of the broadcast stations to the channel lineup, at least for the New York DMA. The app is also available for Android phones and web browsers at www.twctv.com. This conquers one of the big remaining holes in the channel lineup of the app (the holes that continue are most of the top sports services -- ESPN's main channels are available to authenticated Time Warner Cable customers on their own WatchESPN app and website -- and the services owned by Viacom). You can follow the progress of the app via my earlier posts on it (first version, second version and third version). The broadcast channels are organized alphabetically, not given the priority of their over-the-air channel postions. The channels are not identified by call letters, but by a mix of network affiliation (e.g., NBC, not WNBC, Fox, not WNYW) and nickname (PIX11, not WPIX or CW); although that is how they are identified on the Untangled blog. All of the primary feeds of all of the stations and some of their digital multicast feeds are carried on the app. All of the channels carried on the app are carried on the cable system's channel lineup, except for the SD versions of the services which are carried in HD (which are carried on cable, but not on the app). The broadcasters likely did not not enter into new agreements with Time Warner Cable; TWC likely put them on and is seeing what happens. TWC probably has no retransmission consent agreement with some of these stations; they are likely carried under the "must carry" rules, which do not address the in-home Wi-Fi carriage that the app utilizes, but do address channel placement. WMBC, which primarily carries ethnic programming likely elected must carry. It would be surprising that CBS would agree that WCBS could be carried, but that the app would not also carry its thinly-distributed CBS Sports Network, which would certainly benefit from additional exposure. TWC's blog post 26 broadcast channels as part of this addition, but one of them, ABC News Now, is not a broadcast service (it is not carried over the air on WABC) and I can't find it in the app. Create (on the 21.2 digital channel of WLIW/PBS Long Island) and WNJN HD (50.1 PBS/Montclair NJ) are supposedly available, but, I have not found them on the app or web browser version of the service. The list below is channels in the order they appear on the app (sprinkled in more-or-less-alphabetical-order among the channels that were already carried, of course) along with their over-the-air channel numbers. The branding of these services is seems kind of mixed up and inconsistent. That suggests that it wasn't entirely in the control of TWC or that TWC is not completely on top of it or both. 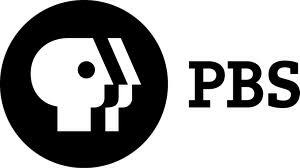 "PBS" takes you to WLIW's SD feed, not the flagship WNET HD feed (which is under "Thirteen"). I don't think either TWC or WNET (which runs also WLIW would have chosen to do it that way). More confusingly, the graphic on the guide says WLIW, even though it is filed under PBS. Al Jazeera English does share a channel with a service called Rise, but Rise programs one hour per day, while AJE programs 23 hours. (AJE is likely leasing the space from WRNN the station that controls the frequency). TV 10/55 is WLNY, a Long Island-based TV station that is usually on Channel 55 on Time Warner Cable, but Channel 10 on Cablevision (where most of its distribution is); it an app without channel numbers, I would think WLNY would want to be listed as TV55 on the app (or better still, Channel 55, to be higher in the alphabetical order). Also, if the services are in alphabetical order, why is WMFE before WMBC? According to an article in the Wall Street Journal, Intel is looking to develop at web-based video service to compete with cable and satellite. Intel's plan is to create a virtual MSO, a business idea that many have been kicking around in one form or another. Consumers would welcome another choice of video provider. As one measure of customer satisfaction, Consumerist's cheeky "Worst Company in America" 2012 bracket features eight providers of multichannel television (Comcast, DirecTV, Dish, Time Warner Cable, Charter, Verizon, AT&T and CenturyLink), among its 32 "contestants". If Intel were to offer a me-too service (i.e., a comparable package of services) at a lower price, it would likely attract some customers. However, multichannel providers are already cutting prices in a de facto way, as they offer sweetheart deals for new customers, particularly in areas of high competition. It isn't easy to compete on the low end with customers churning through the introductory offers in search of the best deal. The me-too offering would have a competitive advantage if its operating cost of delivering the service were lower than the incumbents. It won't be because of lower programming costs. 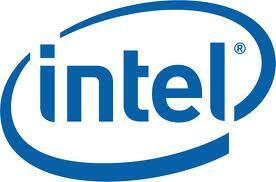 A new entrant into the market, like Intel, can expect to pay 20% or more greater programming costs than the incumbents. Intel wouldn't have to build the expensive distribution system (laying cable, launching satellites) that the incumbents did, but would be on the hook for the variable cost of delivering bits to its customers. The jury is still out on how much less expensive that would be. However, that does make Intel, like Netflix, highly dependent on the ISPs (who are the cable and telephone companies) to continue to provide unlimited service to their customers. There are alternatives to a me-too service, of course. A la carte offerings of channels is a popular request, but one that it is hard to imagine the programming community embracing. (LA Times: Don't hold your breath for a la carte cable -- is that clear enough?) Given the high penetration of multichannel television, there isn't much reason for the programmers to look at a different, potentially less lucrative business model, unless they have to do so (as the music industry had to, after rampant piracy ended their chokehold on packaging and pricing). However, the multichannel subscription television market probably has less piracy today than it did in the past, due to the changeover from less-secure analog systems to more-secure digital ones). So, it won't be driven by piracy, at least not today's piracy, but maybe tomorrow's. This is not the first Intel over-the-top story. GigaOm reported earlier this year that Intel was "in talks to buy Roku". 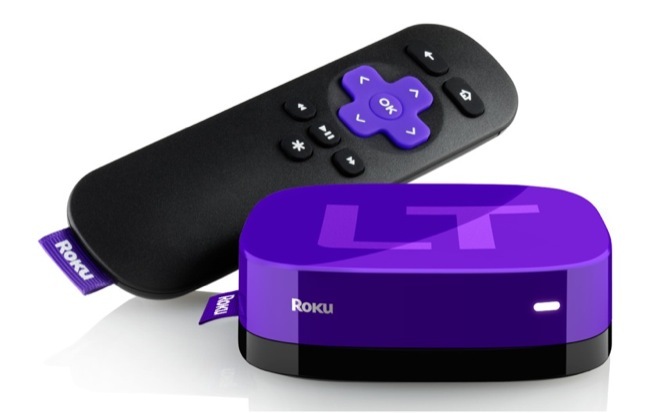 BTW, Roku is now looking to raise some $50 million to expand...hmmm. It is always interesting to see new entrants to an industry as that's often the origin of the new ideas that shake things up (Walt Disney's theme parks, Apple's iPod, iPhone and iPad). If Intel has that sort of idea, there will be a place in the market for them. There is certainly room for innovation in the distribution of television. According to a report in Fierce Cable, a Comcast spokeswoman said "We have no plans to offer access to Netflix to our customers through our Xfinity TV service, no matter what device." Well, that sure is definitive. And not suprising, given Comcast's recent launch of a streaming service, for its Xfinity TV customers only, called Streampix (my earlier post Streampix - Why?). The question arose in response to a Reuters article from last week saying that Netflix was meeting with cable operators about having them offer the service on their system. Close observers of this cat-and-mouse game will recall that this issue first came up at last year's Cable Show when Time Warner Cable's Melinda Witmer...speculated...mused...about exactly that. On some level, it makes a great deal of sense (see an earlier post Netflix on Cable - How Could That Work?. Note that Time Warner Cable, while sharing a name or two with Time Warner, Inc., is no longer owned by the company (which owns many cable networks in its HBO and Turner Broadcasting units). As Seinfeld fan, Todd Spangler points out, what's good for Comcast is often different from what is good for every other cable operator. 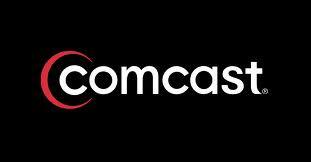 Comcast, with its acquisition of NBC Universal is the largest media company in the world. It has lots of content to go along with lots of conduit. The idea of giving all that valuable distribution to a competitor like Netflix is...not their first choice. From a value creation point-of-view, I applaud. (It is a move out of the TCI handbook.) If successful, down the road Comcast will be able to sell Streampix to Netflix for a wad of stock in, and a favorable affiliation agreement with, Netflix (which will shut down Streampix after it buys it). The public relations aspect of this position, however, seems a bit tone-deaf. "We are in discussions with programmers of every stripe" might have been better. In contrast, Comcast's public relations of its diversity channel commitments (as part of the NBCU merger), were handled so deftly, the deal's biggest foe in Congress praised them. Well, that didn't take long. Pioneering antenna-and-DVR-rental-Internet company Aereo's innovative service to rent a user their own antenna and DVR and send the broadcast signals to the user over the Internet has been sued (link to Engadget post) by the broadcasters (lotsa named plaintiff logos below!) whose distribution will be exploited / expanded / irreparably harmed by the service. There's another suit by ABC, NBC and CBS, in case you thought they might feel differently. 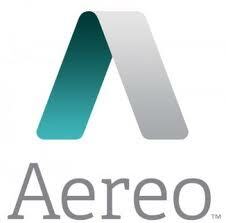 Essentially the complaint by the broadcasters is that Aereo does not have the right to transmit their service over the Internet without their consent. Aereo sees their antenna rental approach as similar to Cablevision's successful network DVR case. The broadcasters seem to have skipped attacking the antenna-rental part of the Aereo service, which is pretty similar to the network DVR part of the Cablevision case, and focused on the converting-and-transmitting-that-antenna's-feed-over-the-Internet part, which is not quite akin to anything in the Cablevision case. (The network DVR transmitted content only on Cablevision's closed network and it was all content for which Cablevision had a license agreement already.) The transmitting-it-over-the-Internet part seems to be what tripped up Zediva in its DVD player-rental-Internet approach (and FilmOn.com and ivi.tv which, like Aereo transmitted broadcasters, but only had one antenna for all their users). For those who do not know, I am not a lawyer, just a practitioner in the field.